Fresh ingredients. Handcrafted dishes. AMC DINE-IN serves up only the best. Enjoy your meal while you experience the very best in sight, sound and seating. 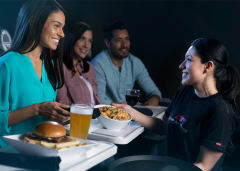 At AMC DINE-IN, we've upped the movie going experience by bringing you the best of both worlds – a restaurant and movie theatre rolled into one. 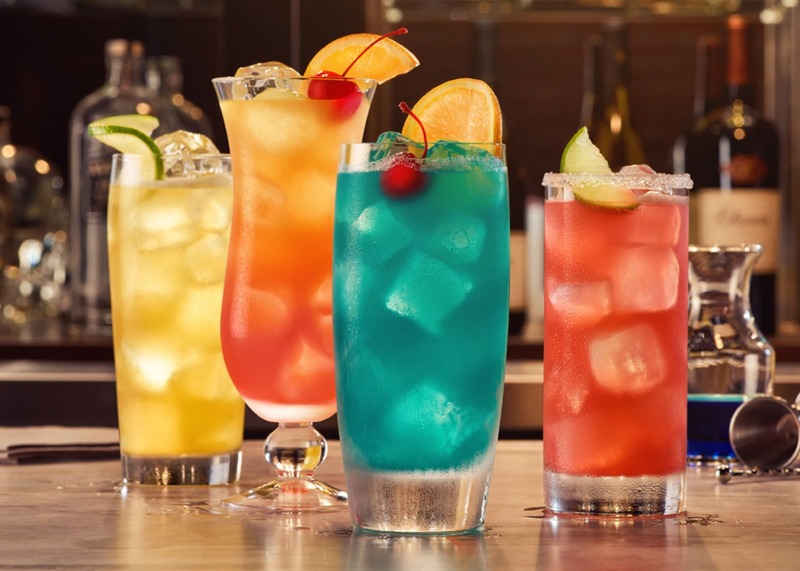 Enjoy handcrafted food and drinks with premium sight, sound and seating. Forget about restaurant reservations. Simply order your movie tickets, sit back and enjoy. We treat each and every dish as if it's the star of the show. Our chefs use only the freshest ingredients to handcraft delicious items like our Asian Steak & Shrimp bowl or our Royal Burger with fig jam. 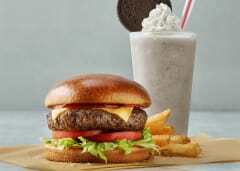 It's all made in house and made to order. Choose from our menu of appetizers, entrees and desserts. Just remember to save room for the movie. Grab a slice of the action. AMC Stubs Members and pizza lovers, assemble! 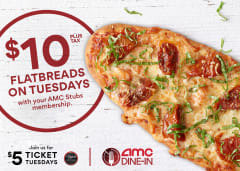 Flatbreads are now only $10 (plus tax) on Tuesdays, part of $5 Ticket Tuesdays. 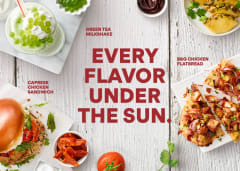 It’s an offer that’s exclusive to AMC Stubs Members, and only available at AMC DINE-IN. 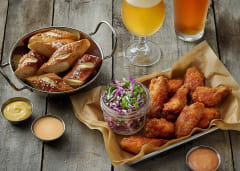 Reserve your seat and choose from a menu of fresh, handcrafted food, plus a full bar. Just push the service button at your seat to order. Choose from a selection of our chef's handcrafted favorites. 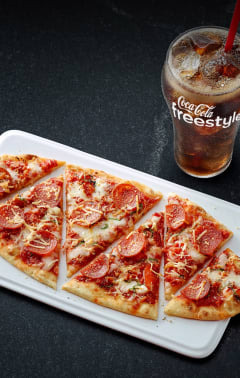 Order at concessions, then head to your reserved seat and we'll deliver right to you. 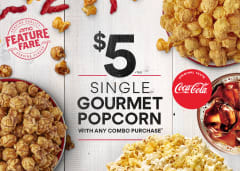 Get a single Gourmet Popcorn for just $5 with purchase of any combo*. Take your pick from Caramel, Cheddar and new Spicy Cheddar Crunch Gourmet Popcorn! Experience the AMC difference of premium formats that bring you superior acoustics, richer imagery, and a choice between RealD® 3D, Dolby Cinema®, and IMAX® technologies. In select locations, reserve your seats when you purchase tickets online and relax into the spacious comforts of our recliners.